In this post I use a Hangouts on Air to answer a blog comment question about using Closed Captions on YouTube videos. 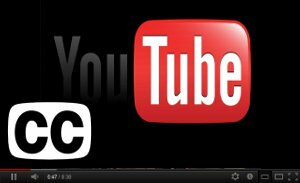 What’s the difference between closed caption and description that we add to YouTube video? I thought âdescriptionâ is read by search engine. Here is the answer via Hangouts on Air Video! I mentioned a word in the video that is misspelled in the Closed Captions of an animal facts video. The word you can do a YouTube search for is “favorer“; I get 39 results (yours results may vary). The video with the Closed Captions I am referring to is ‘Leatherback Turtle Eggs Girls or Boys Animal Fact‘ â In the snippet for the result you will also see it says – Start playing video at 0:15 (Where the word is in the video). So, there ya go! If you have questions, please let us know and we just may be able to answer them either here on the blog, in the comment section or a Hangouts on Air! Now, if you don’t know how to do Closed Captions on YouTube, you have twoÂ methods. Do you use Closed Captions for your videos? Did you know closed captions were indexed by Google? We’d love to hear your comments and questions.